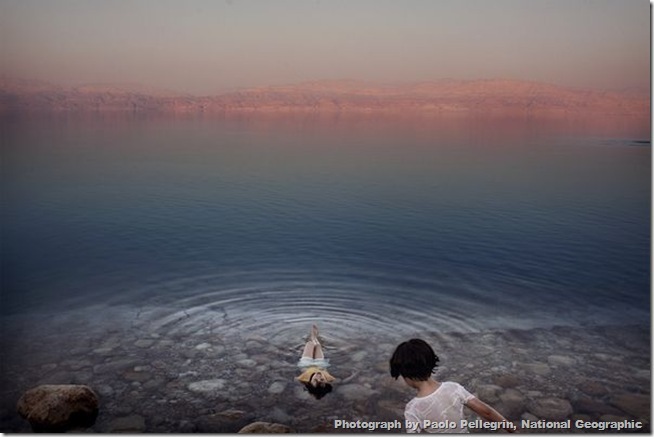 Want to float in the salty waters of the Dead Sea? Go now - the giant lake's water level has sunk more than 80 feet (25 meters) in the past 40 years due to water diversion. That sinking feeling may be familiar at eight other desirable destinations identified as especially at-risk. Bordering Jordan, Israel, and the West Bank, the Dead Sea already sits in the lowest place on Earth. In the 1950s countries in the Middle East, including Jordan and Israel, cut off the River Jordan's supply to the Dead Sea to gain drinking water. The move severely lowered the lake's water level - a loss that continues by up to a meter (four feet) a year.